2 Gripping International Suspense Thrillers & Espionage, 6 Free Kindle Suspense Thrillers for Sunday! 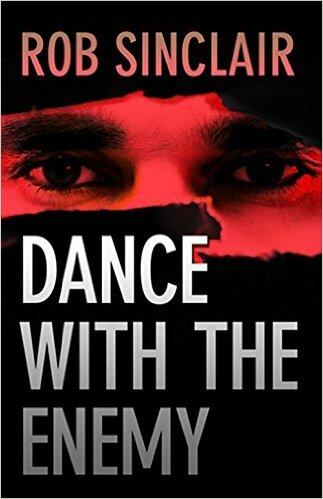 ***Dance with the Enemy: a gripping international suspense thriller (The Enemy Series) by Rob Sinclair. Price: Free. Genre: Espionage Thriller of the Day, Sponsor, Action & Adventure, Crime Thriller, Murder, Terrorism, International Mystery & Crime. Rated: 4.2 stars on 253 Reviews. 350 pages. ASIN: B00KK6FJSC. Reviewers love it: Non stop action from the start to the finish! A smashing thriller! Once you read this book, you will join the club of those eagerly awaiting for the next book in the series! It took me into a thrilling journey with twists and turns that kept me begging for more! *Patchwork Man: What would you do if your past could kill you? A mystery and suspense thriller. (Patchwork People series Book 1) by D.B. Martin. Price: Free. Genre: Conspiracy Thriller of the Day, Sponsor, Mystery, Psychological Thriller, Collections & Anthologies, Legal, Series, Vigilante Justice. Rated: 4.2 stars on 51 Reviews. 253 pages. ASIN: B00M37OUPY. Reviewers love it: This is a beginning of an immensely successful trilogy! A masterful work! D.B. Martin is a talented author and it shows. Gripping, stunning and remarkable! I recommend it to all, and wish I could give it more than 5 stars! *Malakh (Repeat) by Sharon Gerlach. Price: Free. Genre: Suspense, Paranormal & Urban. Rated: 4.4 stars on 15 Reviews. 109 pages. ASIN: B004VXK0NO. Posted on February 28, 2016 Author KibetCategories Free Suspense Thriller Kindle Books, Suspense Thriller DealLeave a comment on 2 Gripping International Suspense Thrillers & Espionage, 6 Free Kindle Suspense Thrillers for Sunday! 8 Superb Free Suspense Thriller Book Deals for Friday! 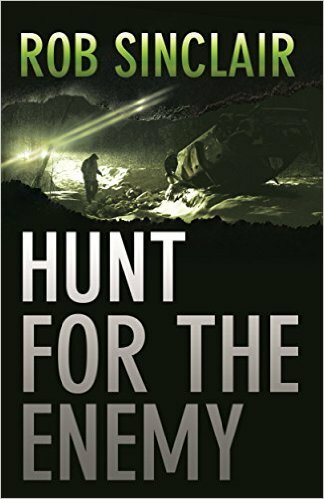 $1 Excellent Terrorism Thriller Deal! 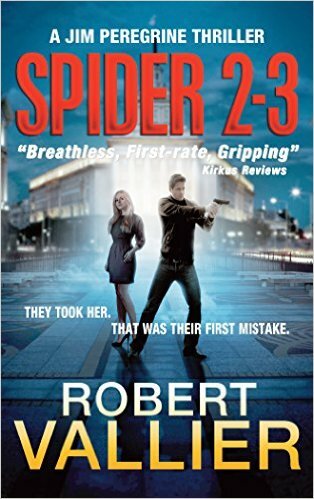 *SPIDER 2-3 (Deal, Not Free) by Robert Vallier. Price: $0.99. Genre: Terrorism Thriller Deal of the Day, Sponsor, Technothrillers, Military. Rated: 5 stars on 2 Reviews. 448 pages. ASIN: B0164EUPZK. Reviewers love it: This book will keep your adrenaline pumping! Mr. Vallier knows how to weave a compelling tale with a lot of moving parts! Before you know it, a day is gone and you’ve explored an exciting world crafted by a master author! I highly recommend it to anyone who loves suspense and the adrenaline rush it provides! *Tainted Deception (Deal, Not Free) by Aleya Michelle, GypsyHeart Editing. Price: $0.99. Genre: Steamy Romance Deal of the Day, Sponsor, Romantic Suspense, Contemporary Romance. Rated: 4.3 stars on 60 Reviews. 260 pages. ASIN: B0156O7Q5G. Reviewers love it: Wow, what an awesome book! It rocked my world! Off the charts! I have read all of Ayela’s books and I have to say that this was the best! I finished the book in a couple of hours! The story flowed well, and is original! Five stars all the way! *Mourning Gloria by Andrew Downs. Price: Free. Genre: Thriller, Cozy, Women Sleuths. Rated: 4.8 stars on 12 Reviews. 310 pages. ASIN: B016FIYXEE. The Hunting Tree by Ike Hamill. Price: Free. Genre: Suspense, Ghosts, Paranormal. Rated: 4.2 stars on 84 Reviews. 394 pages. ASIN: B008GBCBD4. Hinterland by Neil Carstairs. Price: Free. Genre: Suspense, Ghosts, Paranormal. Rated: 4.4 stars on 7 Reviews. 271 pages. ASIN: B00LCEMEKM. Unworthy by Elaine May. Price: Free. Genre: Romantic Suspense, Suspense. Rated: 4.2 stars on 27 Reviews. 250 pages. ASIN: B00Y58WM5Y. Hidden Shadows (The Shadow Series Book 1) by Lauren Hope. Price: Free. Genre: Mystery, Cozy, Suspense. Rated: 4 stars on 7 Reviews. 203 pages. ASIN: B00KU6K2IY. Posted on February 26, 2016 Author KibetCategories UncategorizedLeave a comment on 8 Superb Free Suspense Thriller Book Deals for Friday! 1 Suspense Thriller Deal + 1 Free Kindle Suspense Box Set for Throwback Thursday! *Counter Currents: A Story of Smugglers, River Pirates, Love, War and Freedom Fighters in 1838 (Ryan’s Journey) (Deal, Not Free) by Shaun J. McLaughlin. Price: $0.99. Genre: Historical Fiction Deal, Sponsor, British & Irish, Romance, Thriller & Suspense, Thriller, War & Military, Mystery, Thriller & Suspense. Rated: 4 stars on 3 Reviews. 301 pages. ASIN: B006WP4ZDK. Reviewers love it: This is a must read for all young men! It is a fine story that provides an enlightening glimpse into the forces that shaped both Canada and the United States in the 1800’s. I loved Ryan’s constant companion, Zak the raven! *Murder, They Wrote: Four SkipJack Mysteries by Pamela Fagan Hutchins, Ken Oder, R.L. Nolen, Marcy McKay. Price: Free. Genre: Mystery Box Set of the Day, Sponsor, Amateur Sleuths, Suspense. Rated: 4.5 stars on 4 Reviews. ASIN: B019YGWC8I. Reviewers like it: A powerful mystery collection! This is a collection of authors that will give readers something they have never read before! It has everything a terrific mystery book should have! Incredible page turners! I am so glad I read them, I recommended them to all my friends! Posted on February 25, 2016 Author KibetCategories Free Box Set, Free Suspense Thriller Kindle BooksTags Box Set, Historical, Suspense ThrillerLeave a comment on 1 Suspense Thriller Deal + 1 Free Kindle Suspense Box Set for Throwback Thursday! A Couple of Amazing $1 Suspense Thriller Deals & 4 Free Kindle Suspense Thriller Books of the Day! An Exceptionally Good $1 Espionage Thriller Deal! 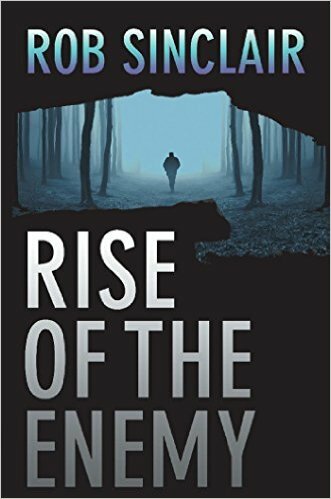 *Rise of the Enemy: A gripping international suspense thriller (The Enemy Series Book 2) (Deal, Not Free) by Rob Sinclair. Price: $0.99. Genre: Espionage Thriller Deal of the Day, Sponsor, Action & Adventure, Crime Thriller. Rated: 4.3 stars on 86 Reviews. 340 pages. ASIN: B00TWR9RVK. Reviewers love it: Vividly descriptive! Excellent international intrigue with riveting mystery and suspense! This is yet another spellbinding thriller from Rob Sinclair! Captivating, thrilling and believable! Once again, the author did not disappoint! 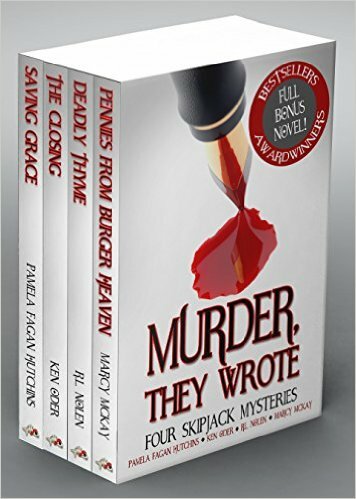 4 Excellent Mysteries in a Box Set Free Today! ***Delicate Ink (Montgomery Ink Book 1) by Carrie Ann Ryan. Price: Free. Genre: Suspense, Contemporary. Rated: 4.4 stars on 165 Reviews. 308 pages. ASIN: B011JEG8BA. ***Teton Sunrise (Teton Romance Trilogy Book 1) by Peggy L Henderson. Price: Free. Genre: Suspense, Western, Action & Adventure. Rated: 4.5 stars on 117 Reviews. 173 pages. ASIN: B00BHT3MUS. *Devlin UnLeashed by Bethany Bazile. Price: Free. Genre: Suspense, Romantic Suspense. Rated: 4.3 stars on 54 Reviews. 232 pages. ASIN: B00QTTIFJE. Posted on February 24, 2016 Author KibetCategories Free Box Set, Free Suspense Thriller Kindle Books, Suspense Thriller DealLeave a comment on A Couple of Amazing $1 Suspense Thriller Deals & 4 Free Kindle Suspense Thriller Books of the Day! A good free 5+ star Romantic Suspense and Adult Romance! 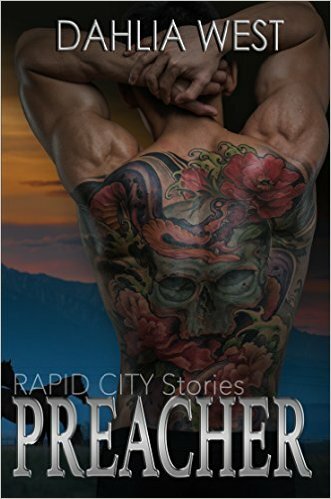 ***Preacher: Rapid City Stories by Dahlia West. Price: Free. Genre: Suspense Thriller, Adult Romance of the Day, Sponsor, Romantic Suspense, Contemporary Romance. Rated: 4.9 stars on 117 Reviews. 407 pages. ASIN: B0178PG396. Sweet: Chicago Underground by Skye Warren. Price: Free. Genre: Suspense Thriller, Romantic Suspense, Contemporary Suspense. Rated: 4.3 stars on 58 Reviews. 146 pages. ASIN: B00UXNM46W. Off the Grid – Underground #1: A Black Ops Story by CA Carr. Price: Free. Genre: Suspense Thriller, War & Military, Literature & Fiction, Thriller, Short Stories, Crime. Rated: 4 stars on 38 Reviews. 45 pages. ASIN: B00UKLM95I. The Burning (A Short Story) by Jonas Saul. Price: Free. Genre: Suspense Thriller, Short Stories, Literature & Fiction, Mystery, Thriller & Suspense. Rated: 4 stars on 28 Reviews. 58 pages. ASIN: B007T3NVL6. Kane’s Cross: Witchfinder (Deal, Not Free) by Elizabeth Wixley. Price: $0.99. Genre: Psychological Thriller Deal, Sponsor, Psychological Thrillers, Horror. Rated: 5 stars on 4 Reviews. 266 pages. ASIN: B013F1ZLW2. Reviewers like it: This is truly an outstanding novel! The mix of characters is impressive and they all have an important role to play. It is full of descriptions that made me gasp! Just when the reader is finally able to breath, another twist comes up! Most highly recommended! Lightly Does the Whisper Fall (Commerce with the Dead Book 1) by Catherine Scott Britt. Price: Free. Genre: Thrillers, Suspense, Crime. Rated: 5 stars on 4 Reviews. 236 pages. ASIN: B00G3RBG5W. Touching Spirits by KEVIN R. HILL. Price: Free. Genre: Thriller, Suspense, Paranormal. Rated: 4.8 stars on 4 Reviews. 186 pages. ASIN: B00ZLY2D8M. Killer Party: Part One by Jerome Noldin. Price: Free. Genre: Suspense Thriller, Teen & Young Adult, Horror, Suspense. Rated: 4.5 stars on 8 Reviews. 354 pages. ASIN: B011GPY1RA. The McKays Box Set by A.J. Carella. Price: Free. Genre: Suspense Thriller, Kidnapping. Rated: 4.2 stars on 16 Reviews. 891 pages. ASIN: B00PERD1ZK. Tutt and Mr. Tutt by Arthur Train, Otto Penzler. Price: Free. Genre: Suspense Thriller, Classics, Legal, Suspense. Rated: 4.2 stars on 11 Reviews. 104 pages. ASIN: B018V77KS8. ***FIGHT (A Bad Boy MMA Romantic Suspense Novel) Kindle Edition by London Casey, Karolyn James, Ana W. Fawkes. Price: Free. Genre: Adult Crime Thriller, Sponsor, NY Times Bestselling Author, Crime, Psychological, Action & Adventure. Rated: 4.7 stars on 128 Reviews. 214 pages. ASIN: B01B8S01JW. *The Complete Katon University Series (Deal, Not Free) by Andrea Pearson. Price: $0.99. Genre: YA Fantasy Romance Box Set Deal of the Day, Sponsor, Suspense, Clean Romance, Inspirational, Paranormal & Urban. Rated: 4.8 stars on 36 Reviews. 879 pages. ASIN: B016MWT1XQ. **Mnevermind 1 by Jordan Castillo Price. Price: Free. Genre: Psychological Thrillers, Suspense, Science Fiction. Rated: 4.5 stars on 60 Reviews. 194 pages. ASIN: B00805N6A8. *Sleeping With the Enemy by Alexis Adaire. Price: Free. Genre: Romantic Suspense, Espionage Thriller, Military. Rated: 4.7 stars on 29 Reviews. 254 pages. ASIN: B019HXGTPU. *Jameson Hotel: Parts 1-3 by Aven Jayce. Price: Free. Genre: Steamy Romance, Contemporary Women, Romantic Suspense. Rated: 4.6 stars on 43 Reviews. 445 pages. ASIN: B0105BE2Z2. *The Smallest of Waves by Janice Coy. Price: Free. Genre: Romantic Suspense, Suspense, Thriller. Rated: 4.5 stars on 11 Reviews. 292 pages. ASIN: B013YYA96S. The Leavenworth Case by Anna Katharine Green. Price: Free. Genre: Suspense Thriller, Suspense. Rated: 4.2 stars on 34 Reviews. 322 pages. ASIN: B01AA8PLGO. The Old Man in the Corner by Baroness Emma Orczy. Price: Free. Genre: Suspense Thriller, Historical, Suspense. Rated: 4.3 stars on 18 Reviews. 211 pages. ASIN: B01AAPZ37E. The Filigree Ball by Anna Katharine Green. Price: Free. Genre: Thriller, Historical, Suspense. Rated: 4.3 stars on 16 Reviews. 216 pages. ASIN: B01AA7CKPA. Bridge City by Andrew Sutherland. Price: Free. Genre: Thriller, Crime, Political Suspense. Rated: 4.3 stars on 7 Reviews. 613 pages. ASIN: B017PGRUPE. Beyond Terrorism: ISIS Thriller by John Scherber. Price: Free. Genre: Thriller, ISIS Thriller, Terrorism, Suspense. Rated: 4.1 stars on 17 Reviews. 319 pages. ASIN: B00OY4QFDY. Blood on the Roses by Robert Hays. Price: Free. Genre: Thriller, Historical, Suspense. Rated: 4 stars on 7 Reviews. 250 pages. ASIN: B012B9KS7W. Fed Up Kindle Edition by R D Power. Price: Free. Genre: Suspense Thriller, Suspense, Dark Humor. Rated: 4 stars on 4 Reviews. 224 pages. ASIN: B00WMPZ3TE. ***Fallout: A Sam Jameson Espionage and Conspiracy Thriller by Lars Emmerich. Price: Free. Genre: International Mystery & Crime, Suspense, Suspense Thriller. Rated: 4.7 stars on 111 Reviews. 343 pages. ASIN: B019AHMQS2. **Mnevermind 1: The Persistence of Memory by Jordan Castillo Price. Price: Free. Genre: Psychological Thrillers, Romantic Suspense, Psychological, Suspense, Suspense Thriller. Rated: 4.5 stars on 60 Reviews. 194 pages. ASIN: B00805N6A8. *The Eagle And The Tiger by Tim Davis, Len Dorsky. Price: Free. 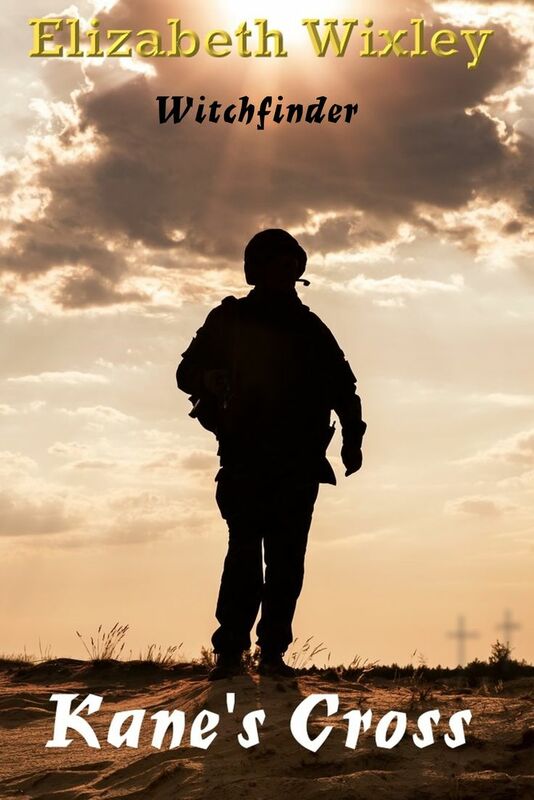 Genre: Military, War, Mystery, Thriller & Suspense. Rated: 4.9 stars on 12 Reviews. 360 pages. ASIN: B01BCPRS1A. *Pros & Cons by Sydney Logan. Price: Free. Genre: Crime, Thriller & Suspense, Romance, Action & Adventure, Romantic Suspense, Suspense. Rated: 4.8 stars on 29 Reviews. 282 pages. ASIN: B00T8HOVTM. *Sleeping With the Enemy by Alexis Adaire. Price: Free. Genre: Espionage, Military, Suspense Thriller, Romantic Suspense, Suspense, Teen & Young Adult. Rated: 4.7 stars on 29 Reviews. 254 pages. ASIN: B019HXGTPU. *Behind the Mask: The Awakening by V P Smith. Price: Free. Genre: Literature & Fiction, Suspense, Suspense Thriller. Rated: 4.7 stars on 16 Reviews. 328 pages. ASIN: B014KG1ER2. *Alpha Fated: Called By The Alpha (Paranormal Wolf Shifter Romance Suspense) by Scarlett Grove. Price: Free. Genre: Contemporary Women, Fantasy, Mystery, Thriller & Suspense, Psychological, Romance, Werewolves & Shifters. Rated: 4.5 stars on 15 Reviews. 101 pages. ASIN: B017E3L8OM. *The Smallest of Waves by Janice Coy. Price: Free. Genre: Suspense Thriller, Romantic Suspense, Suspense. Rated: 4.5 stars on 11 Reviews. 292 pages. ASIN: B013YYA96S. His To Bear: Bear Wardens (Paranormal Shifter Mystery Romance) by Scarlett Grove. Price: Free. Genre: Werewolves & Shifters, Mystery, Thriller & Suspense, Romance, Suspense, Paranormal, Contemporary Women, Women’s Fiction. Rated: 4.4 stars on 32 Reviews. 86 pages. ASIN: B016R3WXNA. MAIL ORDER BRIDE: Clean Romance: Sisters of Faith (Amish Contemporary Christian Romance) (Sweet Inspirational Romance Short Stories) by Cassandra Michaels. Price: Free. Genre: Amish, Mystery & Suspense, Western & Frontier, Romantic Comedy, Western, Romance, Contemporary, Suspense Thriller. Rated: 4.4 stars on 8 Reviews. ASIN: B01BW8WO70. Beyond Regeneration by Jenny Schwartz. Price: Free. Genre: Romantic Suspense, Science Fiction, Suspense, Genetic Engineering, Suspense Thriller, Cozy, Werewolves & Shifters, Mystery. Rated: 4.4 stars on 5 Reviews. 207 pages. ASIN: B0169S6H44. Abducted: when a soul is stolen, caged fury is unleashed by Queen Brown. Price: Free. Genre: Urban, Urban Life, Suspense Thriller, Suspense. Rated: 4.1 stars on 75 Reviews. 252 pages. ASIN: B00IH3YK6W. OLVIDA EL PASADO (Spanish Edition) by ARWEN GREY. Price: Free. Genre: Suspense Thriller, Romance, Contemporary, Romantic Comedy, Romantic Suspense, Spanish, Suspense. Rated: 4.1 stars on 40 Reviews. 176 pages. ASIN: B00B4DTX0A. CHRISTIAN ROMANCE: Inspirational Romance: Spirit Child (Contemporary Pregnancy Romance) (New Adult & College Paranormal Suspenseful Fantasy Short Stories) by Samantha Forest. Price: Free. Genre: Mystery & Suspense, Western & Frontier, Suspense Thriller, Contemporary Women, Women’s Fiction, Romance, Christian, Historical. Rated: 4.1 stars on 24 Reviews. 478 pages. ASIN: B01BTNYZNY. ***FIGHT(A Bad Boy MMA Romantic Suspense Novel) Kindle Edition by London Casey, Karolyn James, Ana W. Fawkes. Price: Free. Genre: Thriller Suspense, Crime, Psychological, Contemporary Women, Military, Romantic Comedy, Romantic Suspense, Women’s Fiction, suspense, Romance, Sagas, Suspense. Rated: 4.7 stars on 129 Reviews. 214 pages. ASIN: B01B8S01JW. *Eight Kindle Edition by John Brakefield. Price: Free. Genre: Horror, Suspense, Literature & Fiction, Mystery, Thriller & Suspense, Short Stories. Rated: 4.8 stars on 9 Reviews. 10 pages. ASIN: B01AQDFHSU. Historical Romance: Once Upon a Lord (Victorian 19th Century Arranged Marriage Romance) (Lady Rake Mystery Duke Romance) Kindle Edition by Julia Regan. Price: Free. Genre: Historical, Victorian, Mystery, Thriller & Suspense, Regency. Rated: 4.3 stars on 21 Reviews. ASIN: B01BUKCDVM. PREGNANCY: Being Desired: Pregnancy Second Chance Romance (Pregnancy, Bride, Baby, Suspense, Forbidden, Taboo, Short Story) Kindle Edition by Selina Coffey. Price: Free. Genre: Short Stories, Thriller & Suspense, Romantic Comedy, Single Authors. Rated: 4.2 stars on 5 Reviews. ASIN: B01BU5HKHO. Still Water Kindle Edition by Jeanne Tosti. Price: Free. Genre: Amateur Sleuths, Women Sleuths, Thriller & Suspense, Suspense. Rated: 4.1 stars on 19 Reviews. 245 pages. ASIN: B00KQRU714. The Call of the Wild (Wisehouse Classics – with original illustrations) Kindle Edition by Jack London. Price: Free. Genre: Classics, Thriller & Suspense, Literature & Fiction, Children’s Books, Crime, Thriller & Suspense, Thriller. Rated: 4 stars on 7 Reviews. 69 pages. ASIN: B016ZHHM98.